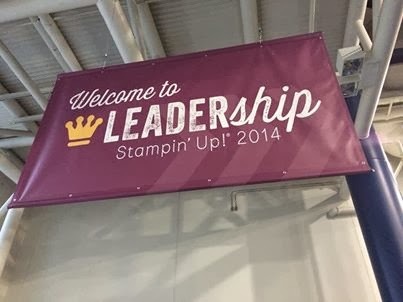 A few of my team members are in Houston right now for the Leadership conference. Sara is currently on stage demonstrating Blendabilities. It will be Stampin' Up! version of alcohol markers similar to Copic. More polymer sets will be in the next catalog which will be released this summer along with customizable polymer stamps. EXCITING NEWS! As I hear of other new items coming out or any other hot news, I will make sure I post it for you all to enjoy. Happy stamping!